High-quality Amplifier dust cover for MESA BOOGIE 2 X 12 CABINET. High-quality Amplifier dust cover for MESA BOOGIE 4 X 10 BASS CABINET. High-quality Amplifier dust cover for MESA BOOGIE 4 X 12 SLANT OVERSIZE CABINET. High-quality Amplifier dust cover for MESA BOOGIE 4 X 12 STRAIGHT OVERSIZE CABINET. High-quality Amplifier dust cover for MESA BOOGIE 50 CALIBER PLUS COMBO. High-quality Amplifier dust cover for MESA BOOGIE BLUE ANGEL 1 X 12 COMBO. High-quality Amplifier dust cover for MESA BOOGIE BUSTER BASS 200 AMP. High-quality Amplifier dust cover for MESA BOOGIE DC 3 DUAL CALIBER COMBO. High-quality Amplifier dust cover for MESA BOOGIE DC 5 1 X 12 COMBO. High-quality Amplifier dust cover for MESA BOOGIE DC 5 DUAL CALIBER AMP. High-quality Amplifier dust cover for MESA BOOGIE DUAL RECTIFIER SOLO AMP. 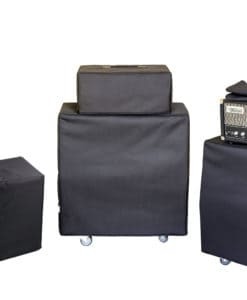 High-quality Amplifier dust cover for MESA BOOGIE EXPRESS 5 50 1 X 12 COMBO. High-quality Amplifier dust cover for MESA BOOGIE EXTENTION COMPACT THIELE CABINET. 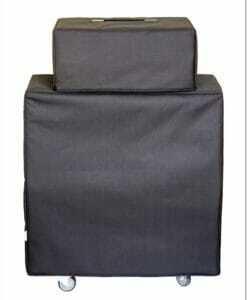 High-quality Amplifier dust cover for MESA BOOGIE F 100 2 X 12 COMBO. High-quality Amplifier dust cover for MESA BOOGIE F 30 COMBO. High-quality Amplifier dust cover for MESA BOOGIE F 50 WIDEBODY COMBO. High-quality Amplifier dust cover for MESA BOOGIE HALFBACK 2 X 12 CABINET. High-quality Amplifier dust cover for MESA BOOGIE LONESTAR 2 X 12 COMBO. High-quality Amplifier dust cover for MESA BOOGIE LONESTAR MEDIUM AMP. High-quality Amplifier dust cover for MESA BOOGIE LONESTAR SPECIAL 1 X 12 COMBO. High-quality Amplifier dust cover for MESA BOOGIE MARK 3 60 W COMBO. High-quality Amplifier dust cover for MESA BOOGIE MARK 3 COMBO. High-quality Amplifier dust cover for MESA BOOGIE MARK 3 LONG CHASSIS AMP. High-quality Amplifier dust cover for MESA BOOGIE MARK 4 1 X 12 COMPACT COMBO. High-quality Amplifier dust cover for MESA BOOGIE MARK 4 1 X 12 WIDEBODY COMBO. High-quality Amplifier dust cover for MESA BOOGIE MARK 4 MEDIUM AMP. High-quality Amplifier dust cover for MESA BOOGIE MARK II COMBO. High-quality Amplifier dust cover for MESA BOOGIE MARK II C COMBO. High-quality Amplifier dust cover for MESA BOOGIE MARK III COMBO. High-quality Amplifier dust cover for MESA BOOGIE MARK LL A COMBO. High-quality Amplifier dust cover for MESA BOOGIE MARK LL B COMBO. High-quality Amplifier dust cover for MESA BOOGIE MARK LL C COMBO.